Can't believe how fast time flies! It felt like only yesterday when I posted about Kate's Spring and Summer Collection eyeshadows (here) but here we are, anticipating the launch of the KATE Fall Winter Collection 2017 which will be launched in November! 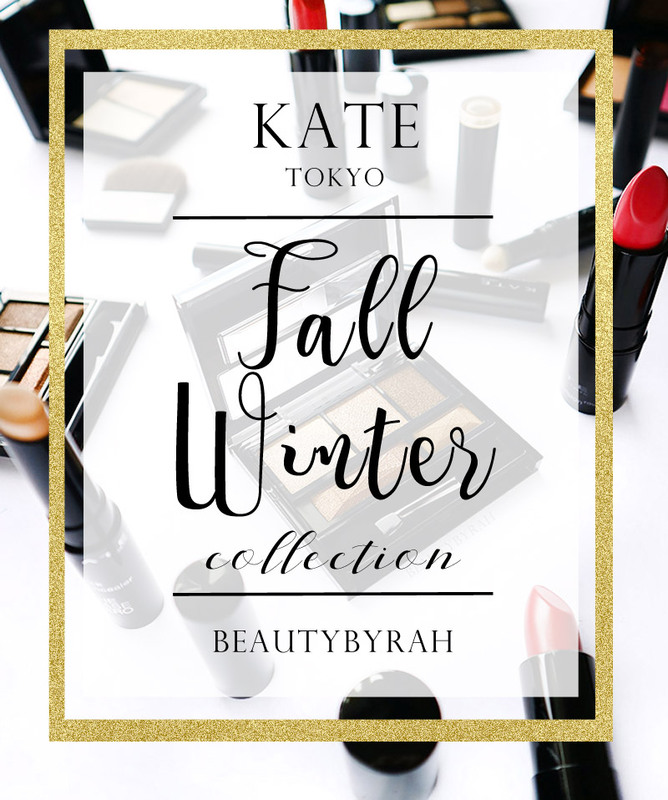 Kate Tokyo is an accessible brand and I like how they constantly release new items to keep with the make up trends. In this Fall Winter Collection, there will be 10 brand new makeup selections for the face, cheeks, eyes, and lips. 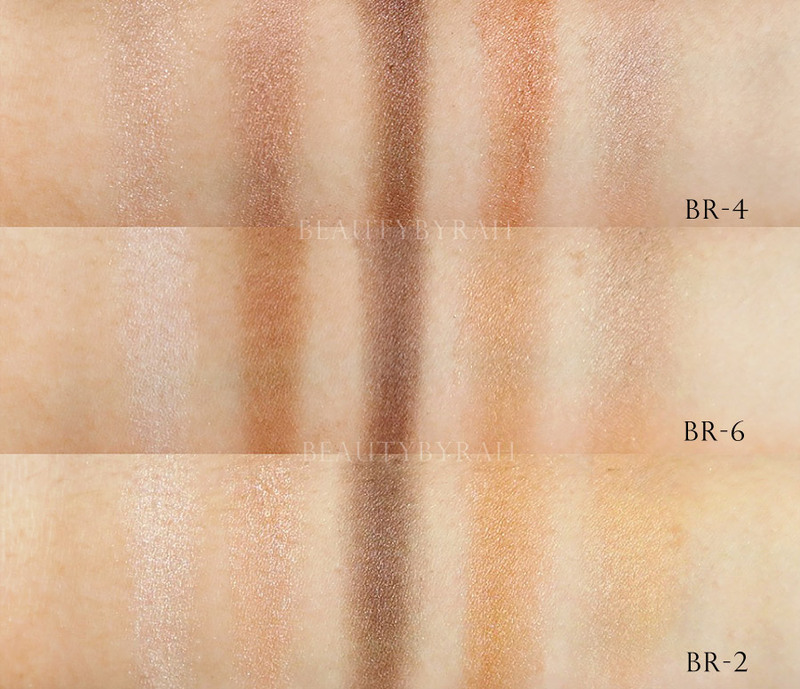 The Base Zero Stick Concealer (SGD 16) in 2 shades. 3D Cheeks (SGD 28) comes in 2 shades. Slim Create Power (SGD 27) comes in 2 available options, one for natural and another for a glowy finish. Brown Shade Eyes (SGD 27) in 6 available options. Color Highvision Rouge (SGD 23). This comes in 10 shades. Here is a quick overview of what I've received from their Fall Winter collection. 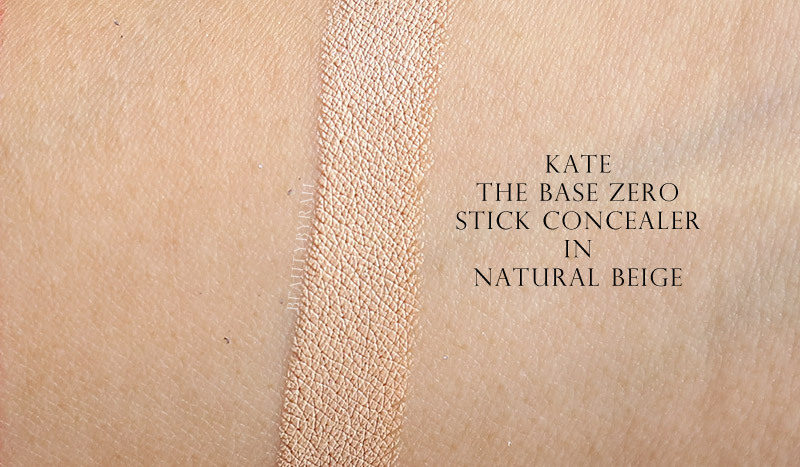 I did not received the Base Zero Face Powder, but I do enjoy the Base Zero Stick Concealer. This concealer is lovely for on-the-go touch ups and I do find that it blends nicely on the skin without much effort. Some stick concealers tend to be pretty dry and tug on the skin upon application, but this one is creamy and glides onto the skin nicely. I got mine in the shade Natural Beige and it is a good match of for my NC 25-30 skin tone. Out of all the cheek products, I have to say I do like the 3D Parts Designer. This is a duo ended sponge tip conturing product, with one side featuring a shimmery champagne highlight shade (it does contain some glitter in it) and the other a cool-toned contouring shade. As I am not too big a fan of glitter particles on cheek products, I use this mostly for contouring as the shade works lovely in adding the illusion of shadows on the skin. There is also the 3D Cheeks and Slim Create Powder. The 3D Cheeks is a shimmery blush duo featuring a golden bronzey shade and a pink. When mixed together, it looks lovely and adds a nice flush and glow to the cheeks. The Slim Create Powder is supposed to help chisel out the features of the face as it comes with a highlighter and a contour shade. I got mine in the shade EX-2 Glow Type which has a shimmery finish. I generally do not like to use shimmery products to chisel out my bone structure and as the contour shade is shimmery in finish and really warm in tone, I foresee this to be more useful as a bronzer than a contour shade on the face. There are 6 new Brown Shade Eyes eyeshadow palettes this time featuring mostly warm, bronzy tones (as the name suggests). I received 3 and swatches are above. 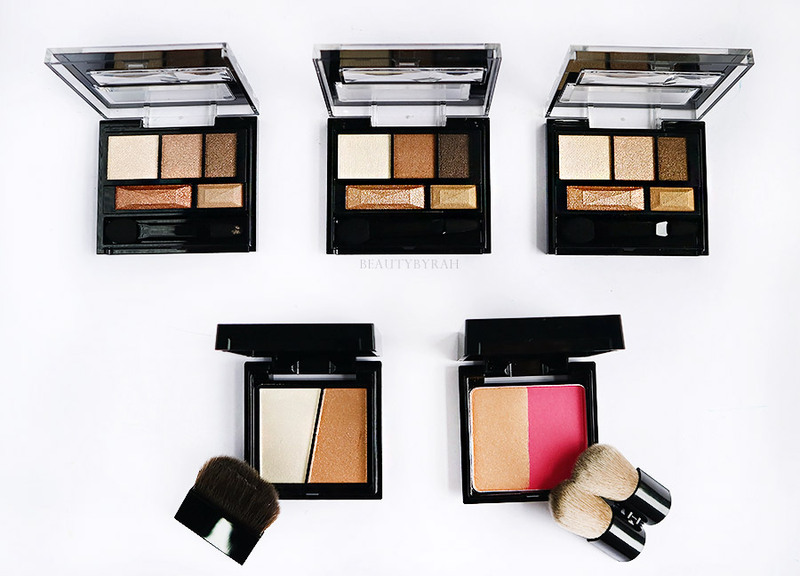 These palettes features 5 eyeshadows, ranging from light shimmery shades to a deep dark shade and it includes its fake shade powder (meant to be used in the crease) and a bronzer (meant to applied all over the lid). 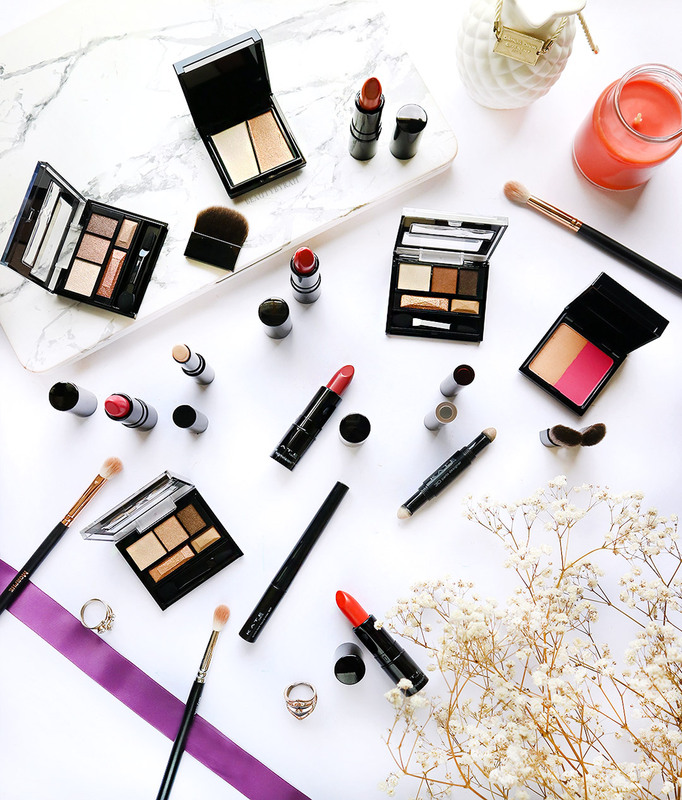 It is a good palette to work with if you're beginning to start on eyeshadow or just pretty minimal eye makeup on a daily basis. I do wish that there are more matte shades included in every palette, but different strokes for different folks! I was most excited for the lipsticks! 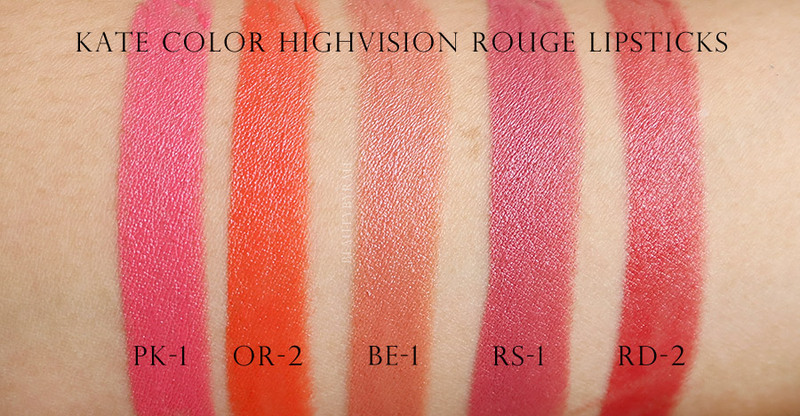 These Color Highvision Rouge Lipsticks look so lovely and I could not bear to swatch them (but I did, for the greater good). I really like how the packaging is so minimal and the lipsticks are a good size to travel around with. 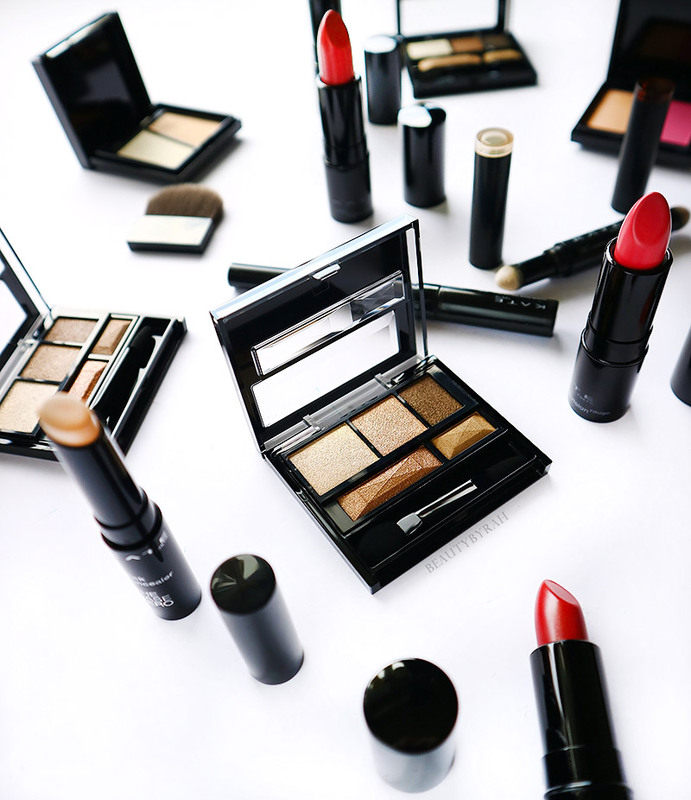 Despite its small and compact size, it has 3.4g of product (compared to a MAC of 3g and a Burberry Lipstick which has 3.5g) so it's not like they are skimping on the amount of product. 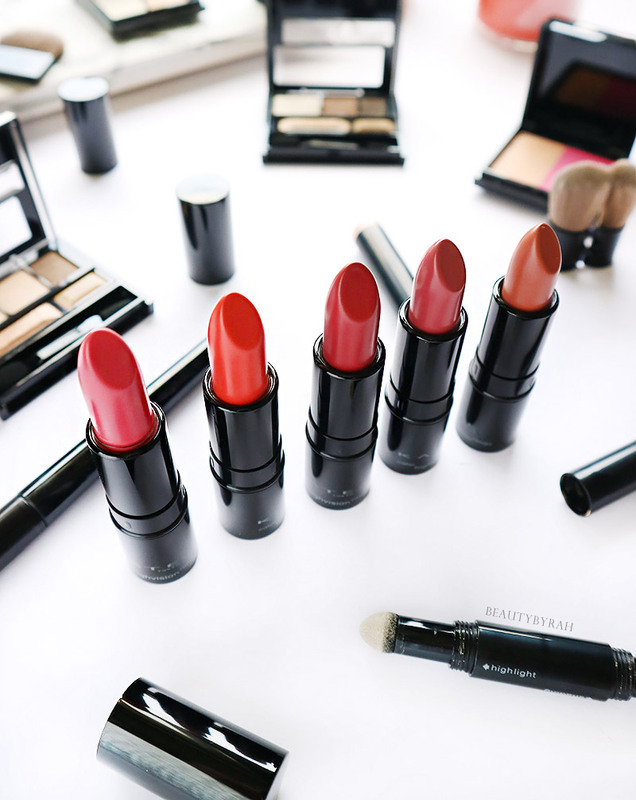 The shades are beautiful, ranging from a warm orange (an absolute love) to a warm toned rose pink. These are creamy and they glide on the lips nicely. Pigmentation is fantastic too. I do find that it can be slightly drying on my lips (as my lips are extremely parched) and I do recommend you hydrating them with a lip balm beforehand. That's it for the Fall Winter Collection. 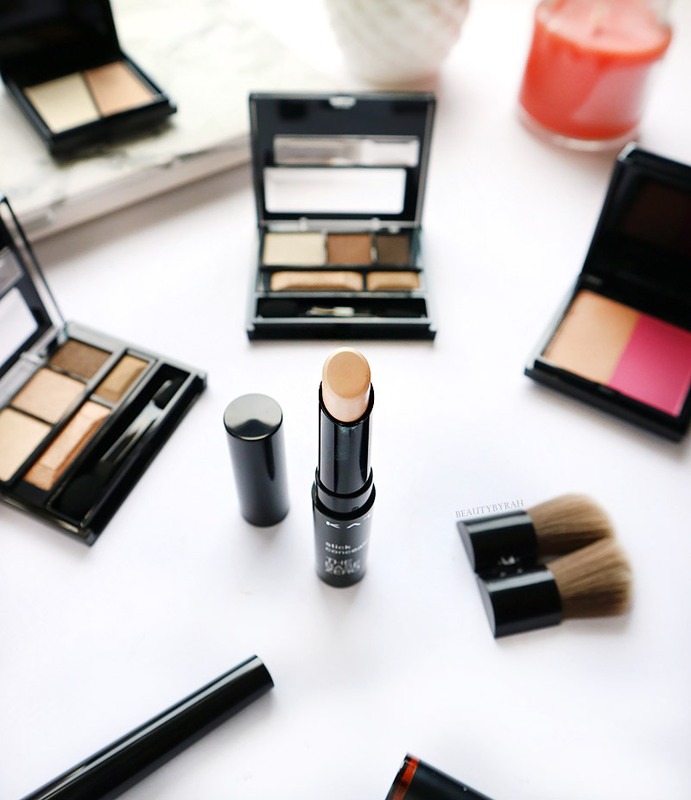 If I had to recommend items to pick up, I'd go with the Base Zero Stick Concealer and the Color Highvision Rouge Lipsticks. Will you be picking any items from the KATE Fall Winter Collection? **These products were gifted by KATE. Only honest thoughts are shared here, with no influence from others. I am not compensated nor affliated to the brand.